What tense do we use when we have to talk about something without indicating when it happened? What tense do we use when we have to indicate that something happened at a specific time in the past? Do actions written in the past perfect tense have connection with the present? Do actions written in the simple past tense have connection with the present? We use the present perfect (have/has done) to talk about something that happened in the past without specifying when it happened. We use the past simple (did) to indicate that something happened at a specific time in the past. 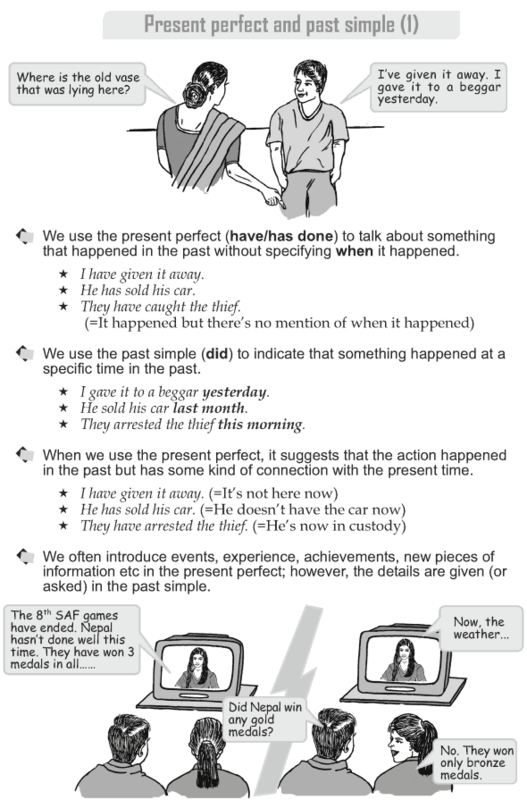 When we use the present perfect, it suggests that the action happened in the past but has some kind of connection with the present time. We often introduce events, experience, achievements, new pieces of information etc in the present perfect; however, the details are given (or asked) in the past simple.